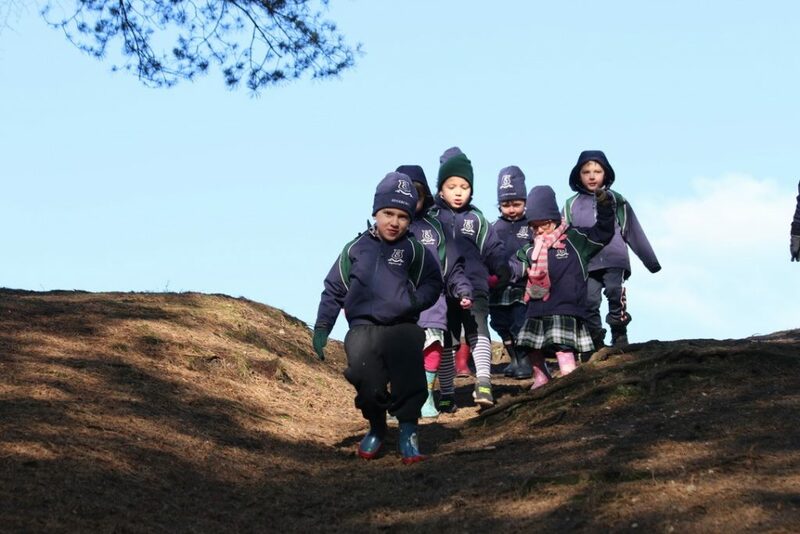 Trips and visits are a hugely popular part of the curriculum throughout the school and give children the opportunity to explore a wide range of places and events. Throughout the year, we offer a whole range of trips and visits. The first trip takes place before terms starts in September as pupils from Years 6-8 go on a Bushcraft adventure, while trips for Sports and lessons take place throughout the year. Each year finishes with trips for Years 6, 7 and 8; the perfect way for pupils to wind down for the summer. Take a look below at some of the trips from the last 12 months! Our Pre Prep pupils visit a whole host of local attractions throughout the year to aid in the teaching and learning of the curriculum. The Christmas Term allows for trips to Farnham Library and Pizza Express, with both sending the children away with treats to enjoy later on; books and pizza! As spring visits Edgeborough, trips include visits to Alice Holt forest where children get hands on with the ‘minibeasts’ for their Easter Term topic, as well as visiting Farnham Castle and Winchester Science Centre. The Summer Term brings warmer weather and new opportunities for trips, with pupils having the chance to visit Wisley Gardens and the blooming flora, while also visiting the Living Rainforest and Bockett’s farm where both different parts of the world and different eras of the world were learnt about. All trips are supervised by class teachers and children are given an extensive opportunity to explore and learn on each visit outside of the school grounds. Each school year pupils are afforded the opportunity to go on the Edgeborough Sports Tour, with each trip either taking us to a new part of the country or a new part of the world. 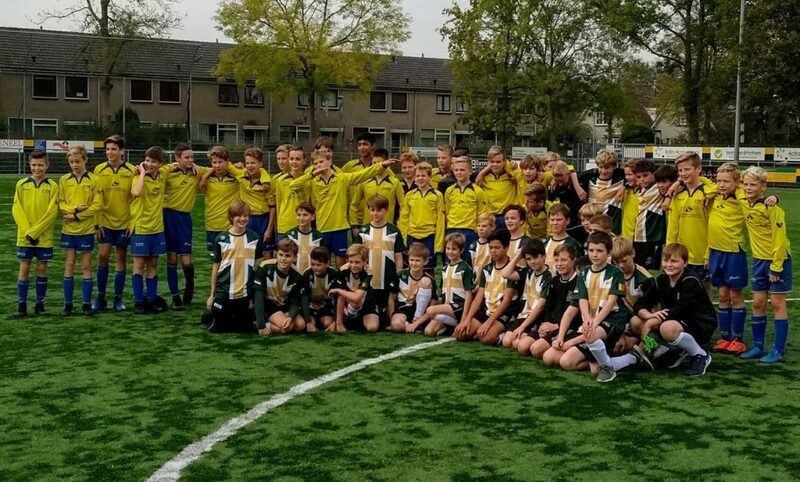 In 2016, it was the turn of Lisbon where our group of Prep pupils headed out to take part in a number of football, rugby hockey matches, as well as explore the Portuguese capital. A trip that further promotes the Edgeborough mantra of sportsmanship and exploration, the Sports Tours are a staple of the school calendar and are often circled by pupils as the favourite to take part in! The trip allows for pupils to bond further as a group as they share hotel rooms and spend time with friends they may not see so much of at school, while also offering the challenge of facing different opposition to those they face on a weekly basis. Our 2017/18 Trip will be taking us to Amsterdam so be sure to keep an eye on the site for the Tour Diary! Despite the wonderful facilities on offer at Edgeborough for our Art and Drama departments, the experience for our pupils is heightened by a number of trips throughout the year. In 2016/17, Music pupils took trips to G Live in Guildford, Charterhouse, Brighton, King Edward’s Witley where they had the chance to perform with others as well as watch others perform and learn from some of the best in the business. 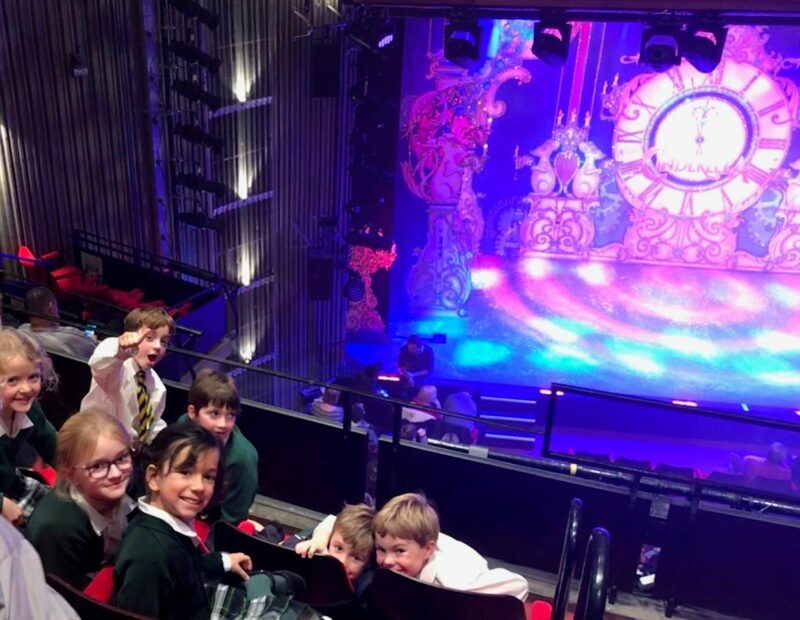 Our Drama students visited two prominent local theatres during the year, with Year 7 and Year 8 going to the Yvonne Arnaud Theatre in Guildford and the New Victoria Theatre in Woking, respectively. During the final month of the Summer Term Years 6, 7 and 8 each go on a trip either within the country or abroad. Year 6 went to the Isle of Wight “Little Canada” PGL Centre, a long running success for Edgeborough and a trip loved by all who attend. Children experience dragon boating, abseiling, archery, the giant swing, trapeze, tunnel trail, orienteering and fencing on site. However, one of the reasons for going to the Isle of Wight is to experience its natural beauty and varied geographical features. Year 7 went a little further afield with a trip to Château de La Baudonnière in Normandy, where there French speaking skills are put to the test throughout a week of adventuring and exploring. As you can see from the pictures, the Mud Run and raft building are hugely popular! 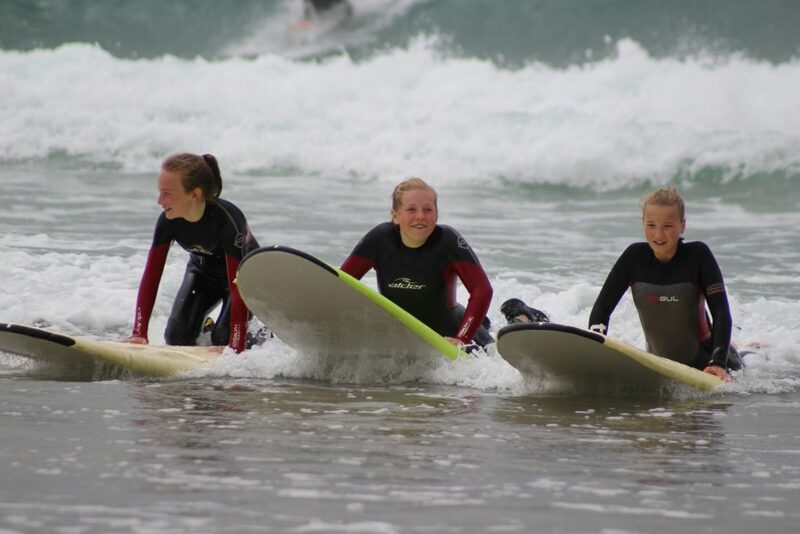 Year 8 made their way to St. David’s, Wales for what would be their last trip as Edgeburians. The week of fun included coasteering, surfing, challenging sea cliff climbing, kayaking and a whole host of other activities in between. 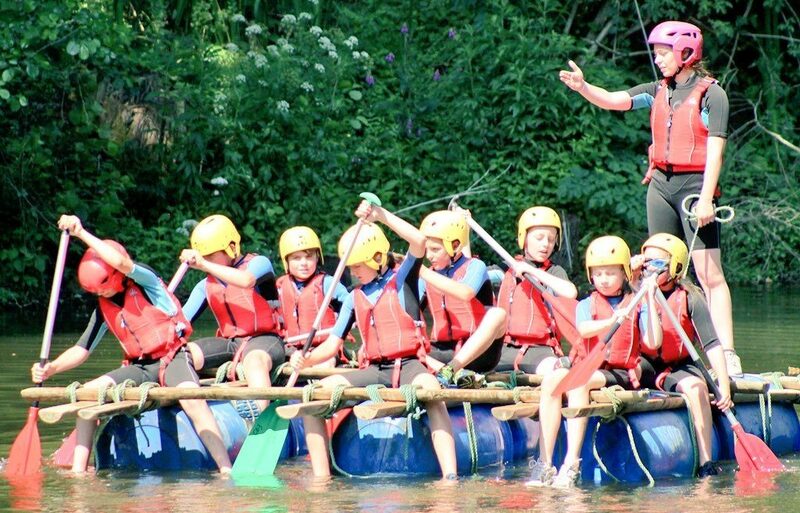 The Trip is one that lasts long in the memory of our Year 8 Leavers and is often described as a trip where they’ll have “the time of their lives”.